Below are the details of Glo Nigeria Blackberry plans, subscription codes and price, culled from Glo official site. •Text ‘STATUS’ to 777 to check the usage status of your current subscription. Note: For more help and information, please call Glo Customer Care on 333. For more useful tips, don't forget to subscribe via email here. How to manage your Personal Finance as a Nigerian living in Nigeria, the ultimate guide! Hi Yemi, I don't think Glo lets you use BIS data bundle on none Blackberry devices. Why not try Airtel? Airtel lets you use its BIS data bundle on non blackberry devices. Pls o,does glo av bis for #1000? I just checked again and couldn't find any. But I'll ask a pal that works with Glo. It should show you how much MB has been used and what is left. They should add up to 700MB. pls what is the different between complete and BIS..
BIS is the BIS Absolute, no restrictions at all. While the BB Complete restricts you to just one e-mail setup on your BB and you can't use some services like BB Protect (I think). YES. Airtel BIS data bundle still works on non-BB devices. I use it on my PC, my Tablet and on my Android phone. IS BB COMPLETE FOR GLO NOW 1000? Hi Macdonald, thanks for your comment. I have updated the data to reflect recent changes in the packages by Glo. BB Complete is now N1000. pls,does etisalat BIS works on non BB device? I once used mtn for a month n I was told it has bin blocked now,pls is dat true as well? Please great blogger... can I use hotspot on my phone as wifi on glo or airtel lines with my bis plans mtn seems to stop working. Waiting to. Hear from you asap. Hi my esteemed reader, thanks for your comment! You can only use your Blackberry phone with active BIS as WiFi hotspot on Airtel alone. It won't work (free) on Glo, MTN or Etisalat; you'll be billed directly from your credit if you do so. Unfortunately, Etisalat BIS does not work on non BB devices. Only Airtel BIS does (as at now). Does glo BBCOMPLETE works on non BB DEVICE? Love your good works Απϑ dee ώαч- you respond ţ♥̸̨ ppls comment bro! God bless you. Pls what's data cap Airtel one day plan? Glo says on it's website that the bbc pack has 3GB. But I'm very certain of Airtel's, it's 1GB. I couldn't find any official (direct from MTN) answer. But I think MTN emphasizes fair usage. As long as you don't download heavy files, you won't need to worry. According to Somebody in our Tech Team, He said that Glo BIS currently works on Andriod Phones, Guess this Dudes might be Migrating to Glo anytime soon. As Airtel NG Shock the Whole of Nigerians using their BIS Plan on Andriod Phones and on PC via Modem by Releasing a Press Release via SMS to all their Customers informing them the Plan will stop Working on other devices other than Blackberry. From 3rd Dec 2013 AIRTEL BB Plans will cease to function on non BB devices or used as a modem . Thank you." Does this Means Airtel Users will have to Pay more just to Connect to the Internet on their Devices? I know How this Dude must be Feeling now but Believe Me Airtel might loose 50% of their Internet Subscribers on Mobile over this Decision. Bye Bye to Airtel BIS which is 2GB for N1,500 & Welcome To Glo BIS (3.75GB For N1,000). Please can you help me with the current data plans 4 andriod phones and I also wanna know if Glo bis can work with android. 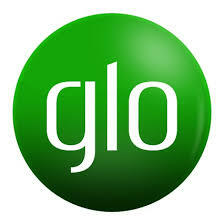 @ free browsing, how true is it that Glo bis works for android devices? I want to know because I just subscribed with my android phone and I'm stuck now; my #1000 has been deducted but no data has been given to me since yesterday. I have no idea about Glo BIS working on Android. And I don't know anyone that's using his Glo BIS on Android. are you sure its still workoing? Great work you're doing here. Pls, can you give me Glo clue for BlackBerry 10. My wife was given the code but like BBAMONTH TO A PARTICULAR CODE TO GIVE US 3000MB AT #1,000, BUT SHE MISPLACED THE INFORMATION. Can you please help me out? Can Glo BIS working with modems with PC? Hello , I would like to know the difference between glo bb1000 , absolute month and complete month.all three plans give 3gb of data but absolute and complete month cost 1500 while bb1000 costs 1000 naira. Thank you.